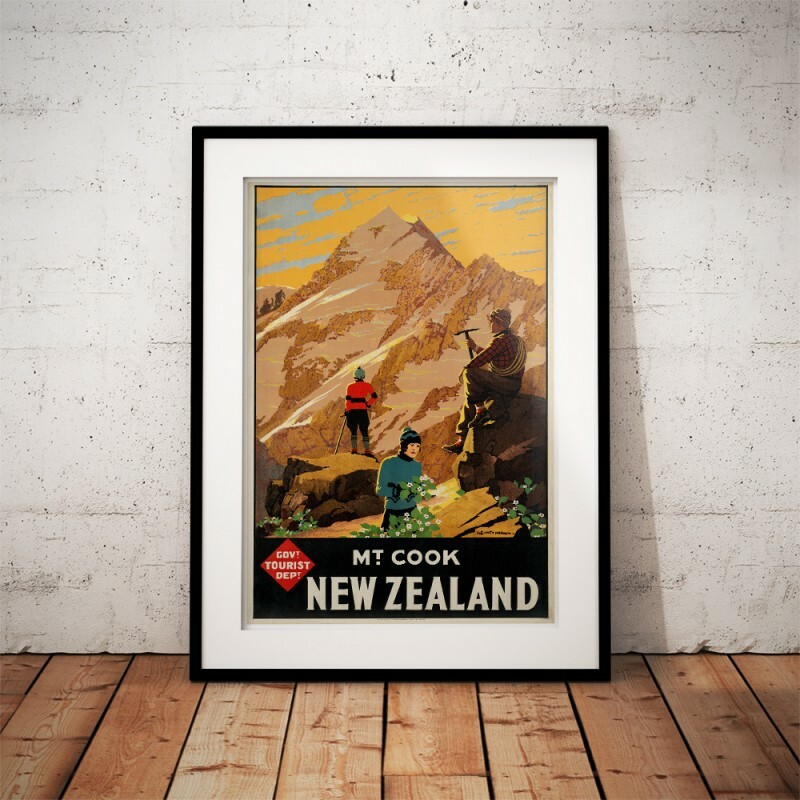 The artwork for the original Colour Lithographic Poster was created by Leonard Cornwall Mitchell in 1935 and issued by the New Zealand Government Tourist Department. 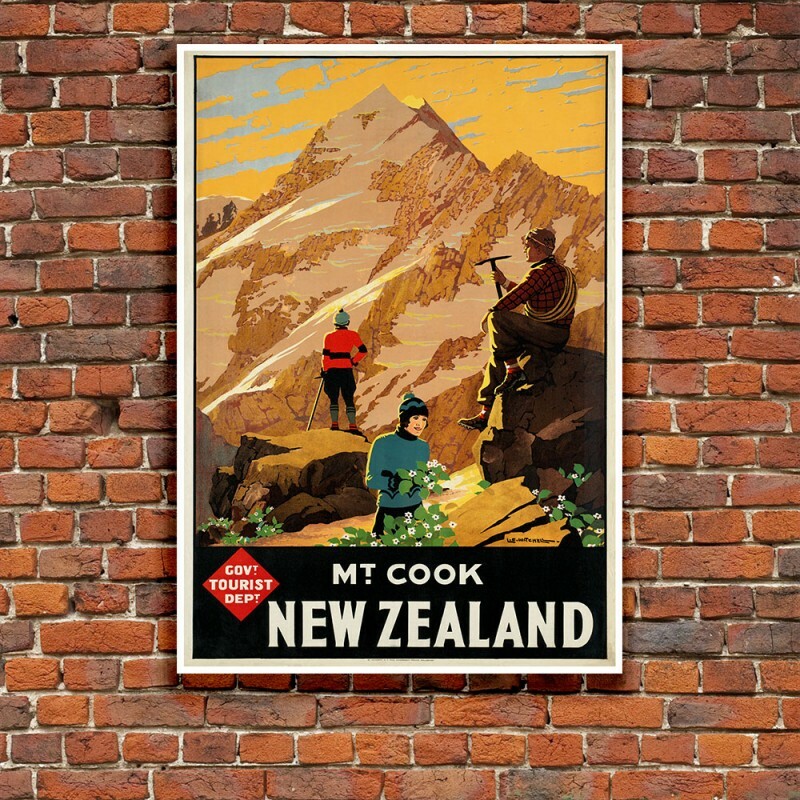 A wonderful vintage travel poster promoting climbing and mountaineering on Aoraki (Mount Cook), the highest mountain in New Zealand. 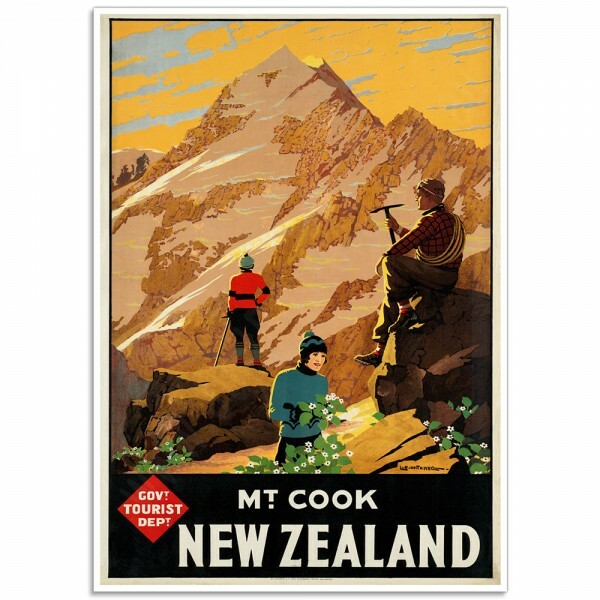 This Poster features a woman a lady looking at the outlook towards the mountain peaks, a man holding a mountaineer pick axe and rope and sitting on a rock next to a lady picking flowers in the foreground. 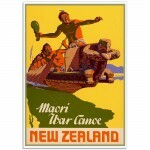 e text below against a black background with the red and black Govt Tourist Dept logo. 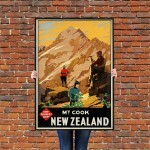 Leonard Cornwall Mitchell was a distinguished sign writer, commercial artist and graphic designer. 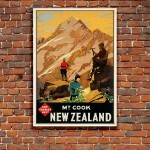 He created outstanding Posters and produced designs for coins and many well-known New Zealand stamps. 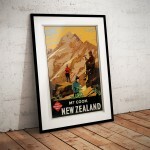 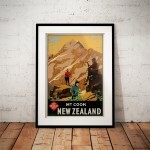 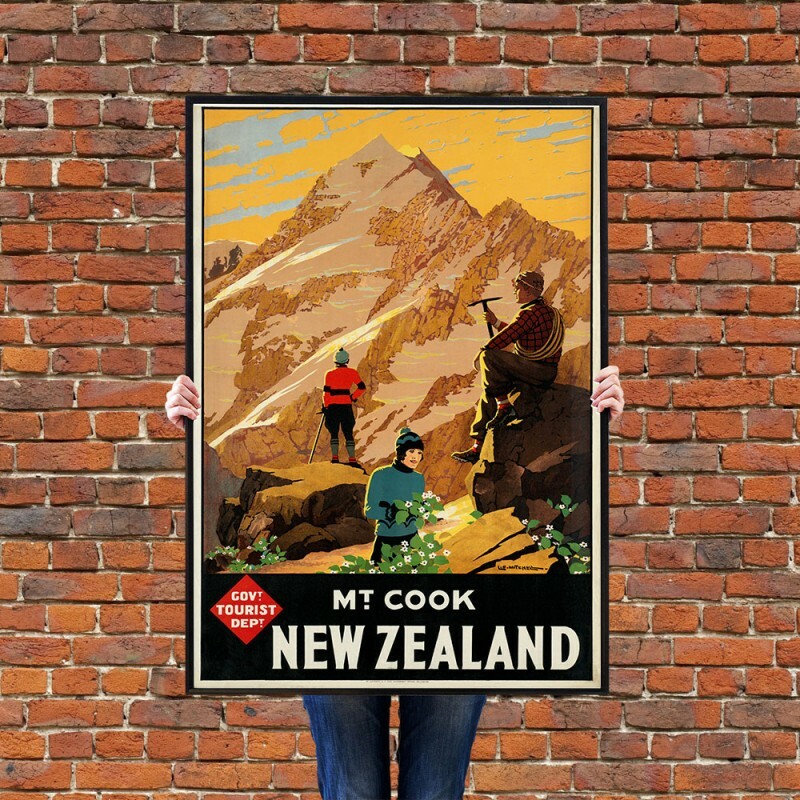 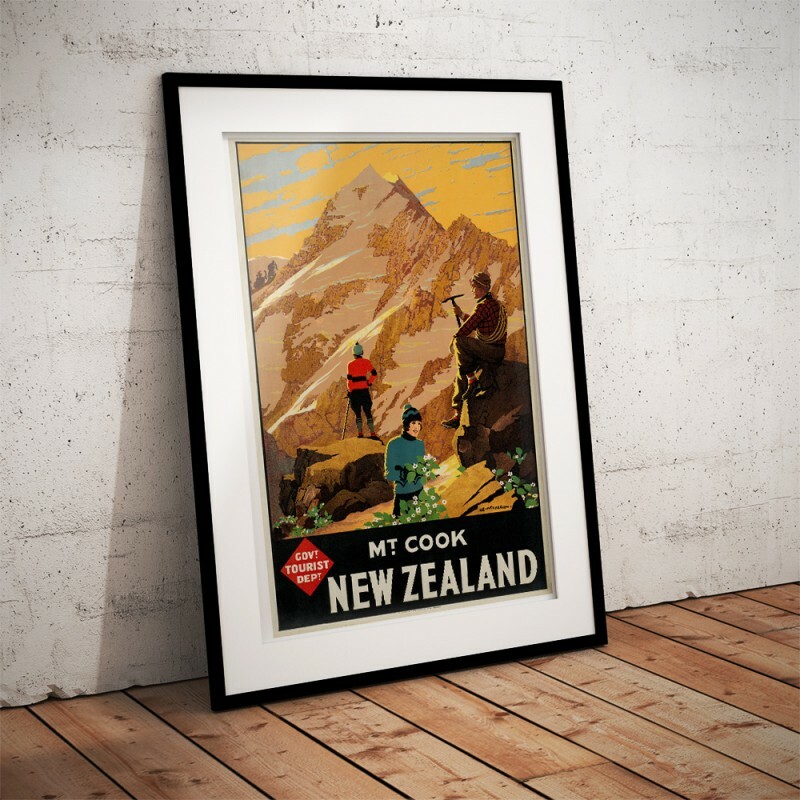 The 'Mount Cook, New Zealand' Poster has been created from an original poster. 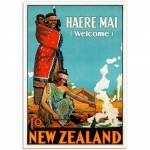 Haere Mai (Welcome) to NZ - Vintage New Zealand Travel Poster.Rotorua, New Zealand Travel Poster.The..
Maori War Canoe - Vintage New Zealand Travel Poster.Maori war canoe, New ZealandThe artwork fo..